When I was a little girl I dreamt of the day my knight in shining armour would ask me to marry him. As a steadfast Disney fan I knew my day would come eventually, all I had to do was wait. Obviously as a young girl I had no idea about the realities of a marriage proposal but I do think it was healthy to dream. I loved the fantasies, pretending to be a princess and having a prince propose was always my favourite. With the pressures of movies showing us how a proposal should be done I began wondering how regular people (not movie stars) proposed, so my question to you is - How do/did you do it? According to tradition the man proposes to the woman, although that isn't always the case, as we almost saw in Friends. He presents the woman with a ring and simply asks "Will you marry me?" - but is that how it really happens? The Hubby and I have been married for just over 9 years and they have been the happiest of my life. Our engagement story is nothing like the movies, there was no restaurant where the Hubby hid the ring in a cake. Our story signifies who we are as people. One night, while we were in bed chatting, the Hubby asked me if I was happy. 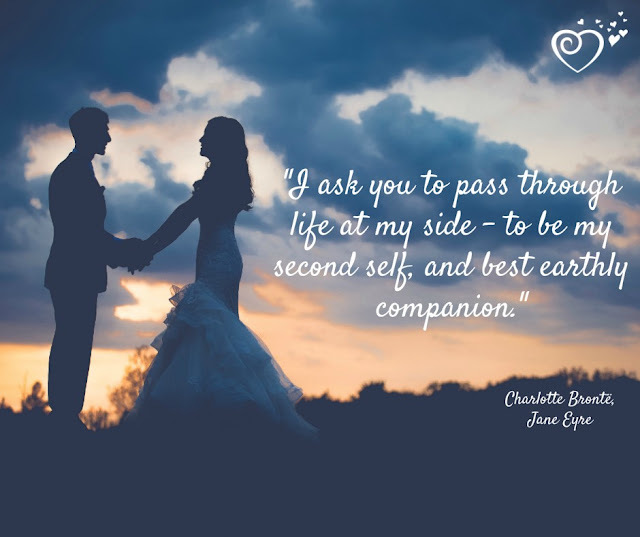 “Of course!” I said, at the time I couldn’t have been any happier; I had a boyfriend who loved me and I had a beautiful son who I got to spend every day with. I was a young stay-at-home mum with nothing to worry about but keeping my boys safe. It took me a few minutes to realise he actually meant it, and with those few words he made me happier, even though I didn’t realise I could be! Each time I think of our story I smile, like I said it signifies who we are as people; we're very private and like our time together. Later, when we were discussing the proposal the Hubby told me he didn’t want to pop the question in a restaurant because he knew I would cry and he didn’t think I would want to do that in a restaurant full of people. He was right too, I would’ve hated that. While the movies make big gestures seem amazing it's really not me. When the Hubby proposed he didn't present me with a ring straight away, he'd decided that we should shop for the ring together. He wanted me to have something I would love and the best way of doing that was to let me choose it. I love the elegance and style of a simple ring and that’s exactly the kind of ring I chose. It is a single diamond with a platinum band and I will love it forever. If I could have picked I would have had the American style (at the basketball game) proposal. But instead at the Middlesbrough Football Club stadium. You know when the cameras land on you and you are meant to kiss but they actually propose. I'd have loved that. I was convinced that Mr F was going to propose to me on Christmas Day as there had been clues leading up to it, asking my ring size etc etc. I hate surprises so I asked him outright. He spun me a story about not being ready and didn't want to rush things and I was devastated. So come Christmas Eve I went to sleep not expecting anything at all. In the early hours of Christmas morning 2008 he rolled over in bed and presented me with a ring. Shocked doesn't even cover it! I just kept saying 'are you joking?' over and over. He wasn't joking though and put a shiny 1 carat solitaire ring on my finger. It was perfect, just me and him and no fuss, on my favourite day of the year. Last year I gave him his own surprise on Christmas morning when I told him we were expecting a baby. I love sharing our engagement / proposal story. Seems a lifetime ago. she shared her engagement story on her blog and it was a truly beautiful story that left me in tears. My now husband surprised me with a trip to Paris for my birthday (he booked it in January, my birthday is the middle of August!). He proposed in front of the louvre. Phil had been basically hinting to me that marriage was off the cards and I was gutted but kept telling myself it was better to be unmarried with the right man than married to the wrong one. Christmas Day 2012 and no ring so I had a little cry in the bathroom then we got on our plane to Cambodia. First morning there we left at 5am to see the sunrise at Angkor Wat and it was super cloudy but once the day properly began we were exploring and took a little break in a tower of the main temple. Phil started saying how much he loved me and wanted us to be together forever and I was just thinking "Aw how sweet", then he got down on one knee! I cried, said yes, some Americans down in the ground had spotted us and started cheering and 9 months later we were married, a year to the day later we saw Toby on the 12 week scan! Mine is far from romantic, but perfect for us. Just at home, talking about the day to day. And somewhere in between asking what we should have for dinner and how was work, he asked if we should get married. But we kept the cushion that was on the sofa in the house that happened even though it wasn't technically ours to keep, and now it's been to 3 houses and had two babies rest on it. My husband proposed at home on Christmas morning with my favourite song playing (later became our first dance). He proposed via PowerPoint!! He did a presentation of our best times together and on the last slide it said will you marry me? He then took me away for a night in London and show to celebrate between xmas and NY. Oh I love any kind of good and crazy engagement story mine was a tad exiting and not so low key he proposed at my local beer festival on stage in front of quite a crowd (3.000 to be exact) we made the local newspaper and there is even a YT video! My husband ever the romantic proposed to me on his 24th birthday right next to his grubby old work van when he was oh so drunk. This meant that when he tried to get on one knee he fell down on both. At least it was memorable right lol. My husband proposed in Belgium on Armistice Day on the 90th anniversary of the end of WW1 - we'd spent the day at the battlefields and it was quite an end to what had been a very emotional day. My engagement story is a little different to the fairy typical tale dream engagement but was meaningful and brilliant to me. John and I had been dating for a while and we knew we wanted to live together and get married. At the time I was a single Mother to Sylvia (4 years old). John and I went to watch the movie Les Miserables. We then picked Sylvia up from my grandparents and headed back to my home. The house was in a state, undergoing significant work, there was dust and cement and work tools everywhere. The carpets had been taken up and so John knelt down on the floor boards and ask me to marry him. He then turned to Sylvia and asked if he could marry her mummy and become her daddy. Both Sylvia and I said Yes. It was not the perfect location but it was heart felt and in a way symbolises to me how far we have come as a family since that day. I have a lovely ring and one day I hope to upgrade but a ring is nothing compared to having a fabulous husband and I think I am truly blessed. Will it be in a restaurant? Will you take your loved one to a game and propose on the big screen? Or will you keep it to yourselves and propose in bed one night? Proposing is so personal that no matter how it’s done you end up with an amazing story to tell. Your story will be retold time and again and you'll get to relive the moment again and again. But one thing's for sure - make that ring a special one, it marks one of the happiest days of your life and it will mean the world to you both - make it count! 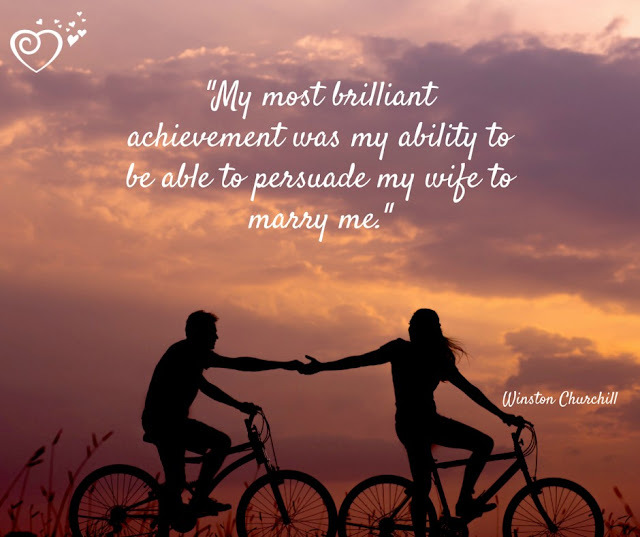 Since drafting this post I've realised how much we love to tell our engagement stories and have decided to do a series of posts on the subject. I'll be interviewing fellow bloggers about their stories and sharing them with you. If you have a story to tell I'd love you to get in touch! I love hearing about proposals. Mine was also an in bed one, on boxing day. Thank you for posting this - it was lovely to read the different engagement stories. I love romantic stories whether they involve elaborate planning and settings or simple, heartfelt moments between two people.